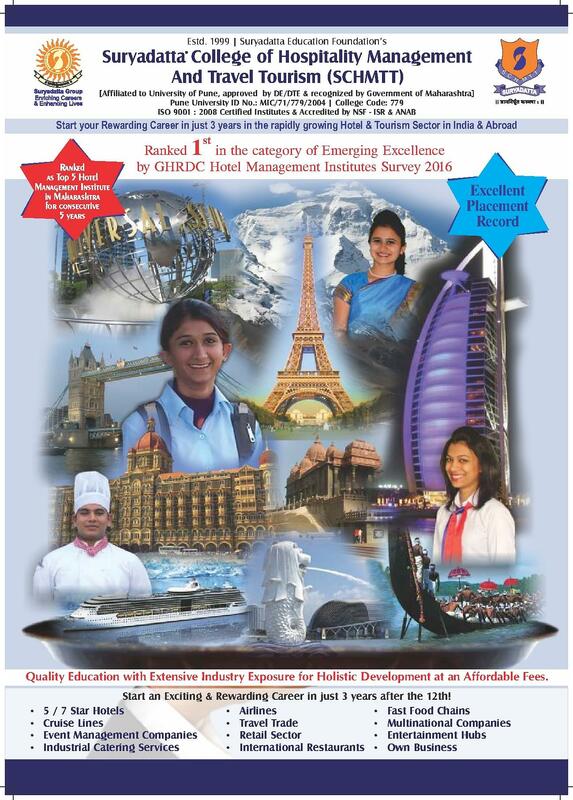 Suryadatta College of Hospitality Management and Travel Tourism has become a leading name in providing the best quality education in the field of travel and management. The institution works with an objective of providing the best quality education along with training and workshops that can help the students enhance their skills by guiding them and helping them polish their talent. In an era where hospitality management has become a major industry, the Institute is consistently working hard to give the best education to its students. 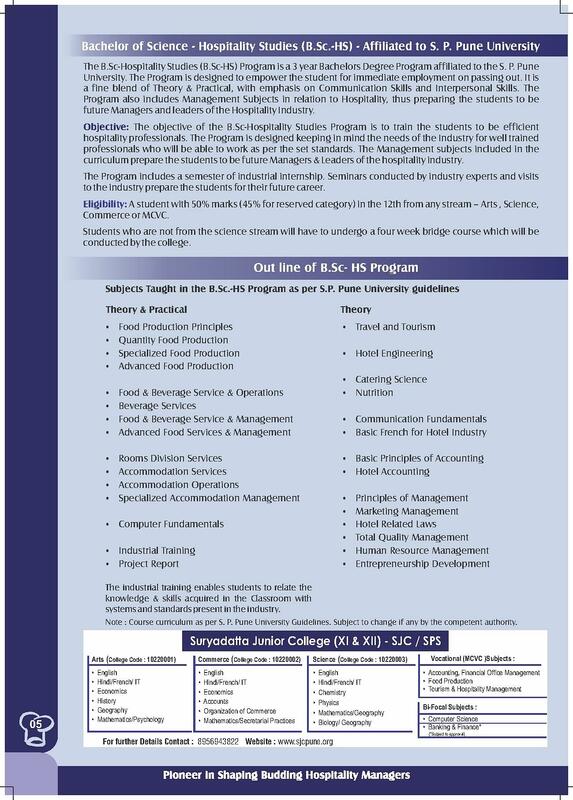 With every passing day, the Institute is growing and grooming itself keeping in mind the requirements of the industry. 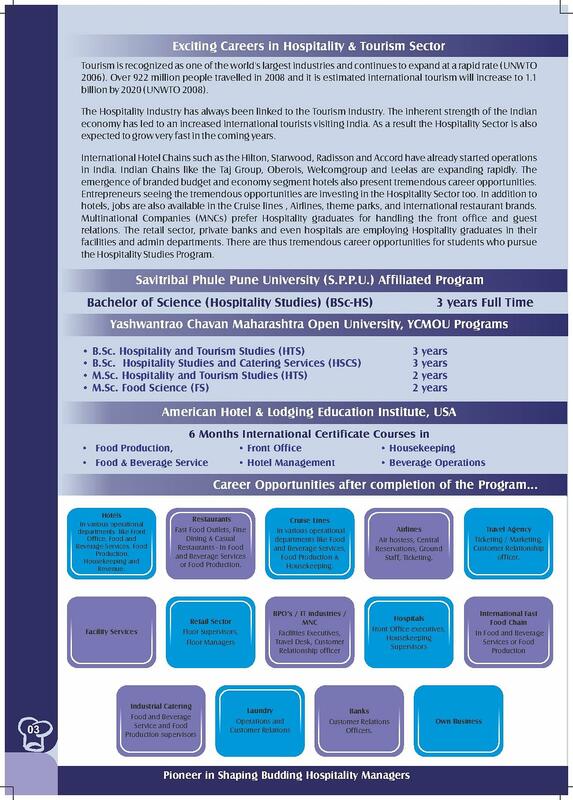 Why to join Suryadatta College of Hospitality Management and Travel Tourism? Strategic tie-ups with renowned Institutes and Organizations: The campus has tie-ups with the best companies all over the country. Immense reputation: The College is an A+ Category B-School in India. The college has ranked 54th in India and 3rd in Top Institutes of Pune by Times of India. 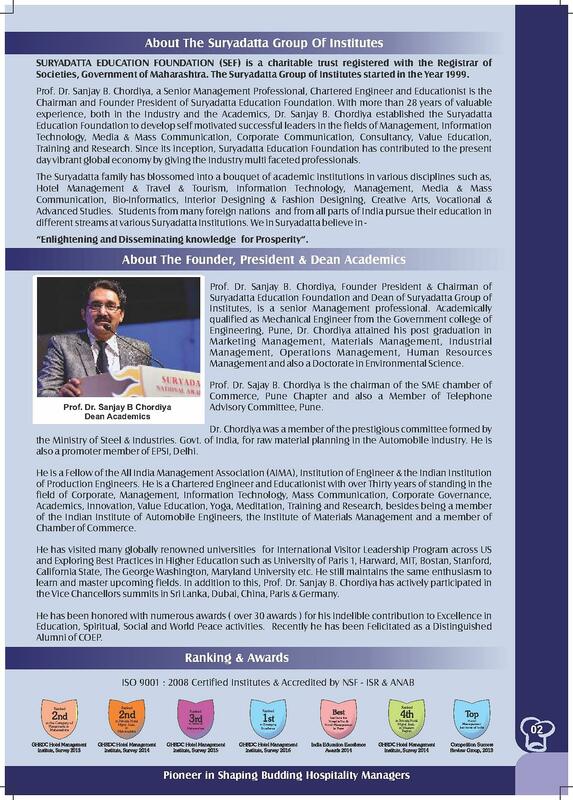 It was also awarded best Placements Award for PGDM Courses. 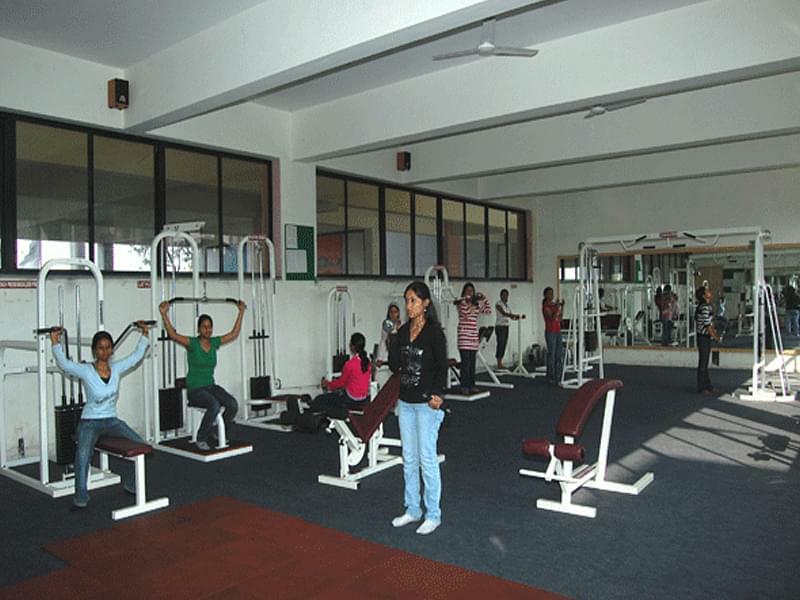 Highly dedicated Institution: The College is purely dedicated to the welfare of its students. 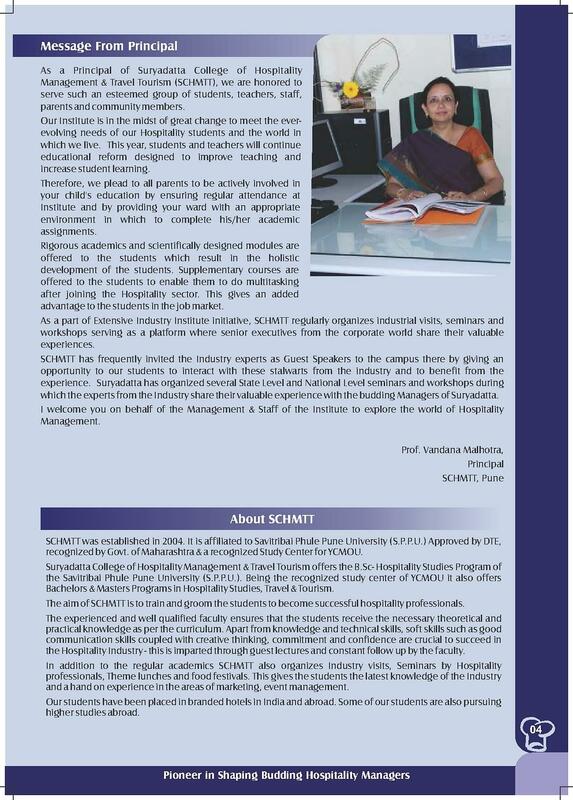 The faculty is highly qualified and experienced.